A pink ribbon symbolizes breast cancer awareness. The breast cancer awareness pink ribbon emerged in 1982 under the initiative of Susan G. Komen of the Cure®, the largest, best-funded breast cancer organization in the United States. The first breast cancer survivor program was launched during the Komen National Race for the Cure® where survivors initially wore black and white. Late that year, pink was used as the official Komen color. In 1991, pink ribbons were distributed to all breast cancer survivors of the Komen NewYork City Race for the Cure®. Pink is the new black in fashion. Women in the workforce has worn their colors loud and proud - feminine as they may be - but minus falling into the cookie cutter image of being the inferior gender in the rat race of the work world. Wearing pink and other colors of femininity in the office allow women to show that they are unapologetically embracing feminine strengths while conquering the world. In the world of grays and browns, pink is a bold statement to make that women who wear them are out to get their goals and missions and get things done. 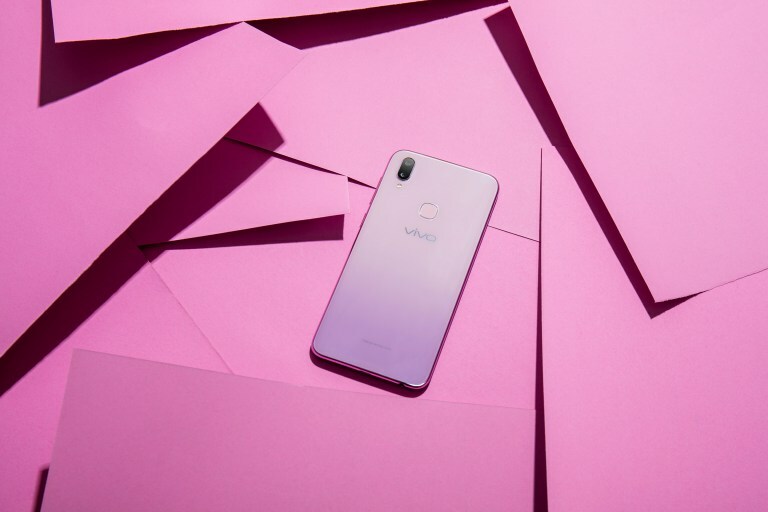 Much like the femininity of pink and all things women,Vivo’s limited edition V11i in Fairy Pink is delicate and chic but boasts of powerful features underneath its hood. Its smooth performance complements its beauty. The Vivo V11i has AI dual rear cameras which offers an augmented perspective with the second lens allowing for improvement of sharpness. The ever popular Bokeh effect enhances photograph focus with a blurry effect thrown in for added drama. Its 16MP + 5MP dual rear camera fusion increases the amount of perspective, giving a near 3D image effect on photos.The superior photo quality is supported by Dual Pixel Sensors which boosts light sensitivity and focusing speeds. Do not be fooled by the Vivo V11i’s outer beauty because it is an overall powerful phone in one splendid compact. Experience the power of pink with the limited edition Vivo V1i in Fairy Pink all yours for only Php15,999 available at Vivo kiosks and concept stores and exclusively online on Shopee.